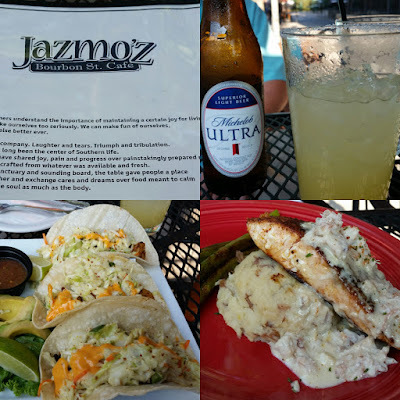 Dinner at Jazmo'z Bourbon Street Cafe in Bricktown, OKC! Tasty meal right by the canal; able to watch the ducks and fish play about! 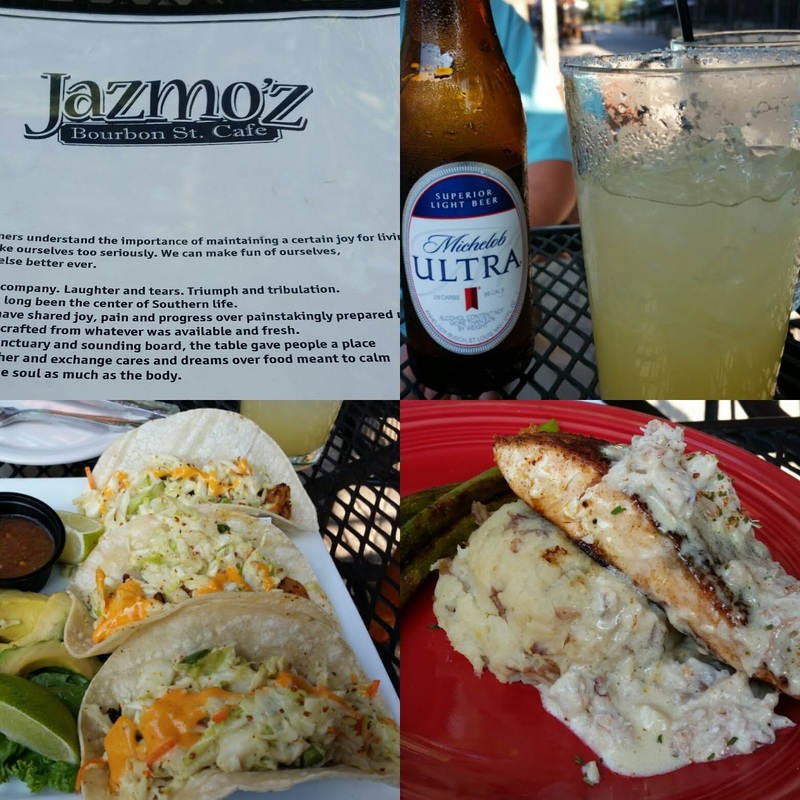 Ordered Shrimp Tacos and Grilled Salmon. Very tasty!